WILLEMSTAD - RBC Bank announced earlier this week a commitment of $300,000 USD to support relief efforts in the wake of hurricane Irma. The Caribbean relief effort will receive $200,000 USD of the total amount, while $100,000 USD will be directed toward relief efforts in Florida. Our deepest appreciation extends to relief workers, first responders and volunteers who continue to ensure the safety of those now suffering as a result of this storm. While relief and recovery efforts get underway, our thoughts remain with our employees and those individuals impacted by Hurricane Irma and the after-effects of this unprecedented weather system. “I am frequently reminded how resilient people are and how working together, we can rebuild and start over even in the face of disastrous circumstance. 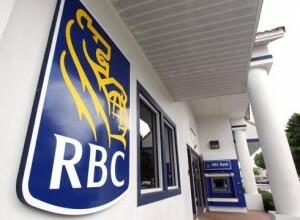 Many of our branches in Eastern Caribbean and The Bahamas are reopened today, while other branches, like those in St. Maarten and Turks and Caicos Islands, will take longer to reopen as our employees and other residents rebuild and restore a sense of normalcy,” said Rob Johnston, CEO, RBC, Caribbean Banking. With more than 100 years of history in the region, RBC has experienced the impact of natural disasters before. We will continue to work with national agencies, industry and government to ensure the safety of our employees and support the recovery and rebuilding efforts for our clients and communities. #StandStrong.